Sartoro presents a young, fresh and undeniably alluring, contemporary-classic jewelry collection inspired by lightly sparkling summer days and romantic evenings. 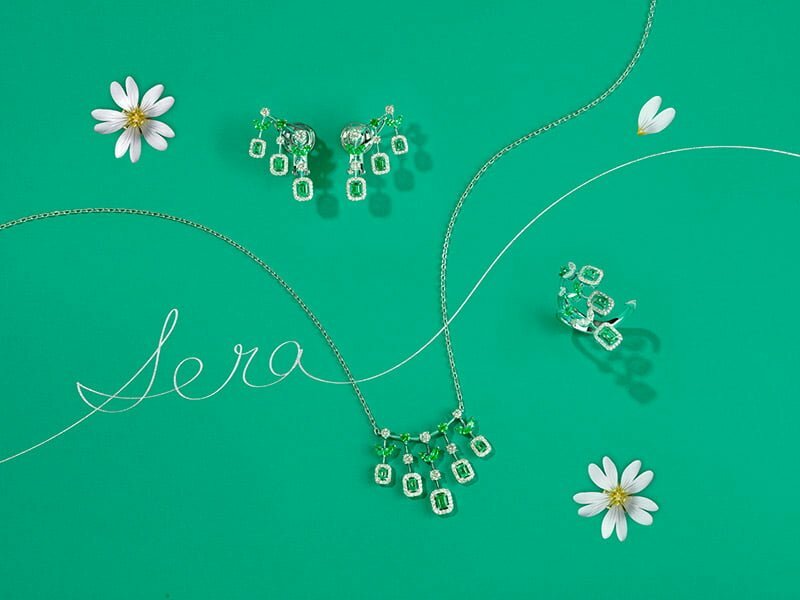 Inherently giftable, the Sera Collection adopts 18K rose, yellow or white gold colors with dazzling white diamonds. Alternatively, with colored precious Emeralds, Rubies, and Sapphires in a feminine style, never losing sight of the delicate, mysterious nature of love. Fusing Sera Collection pieces with everyday urban wardrobes come effortlessly and compliment personal tastes with creativity and flair. 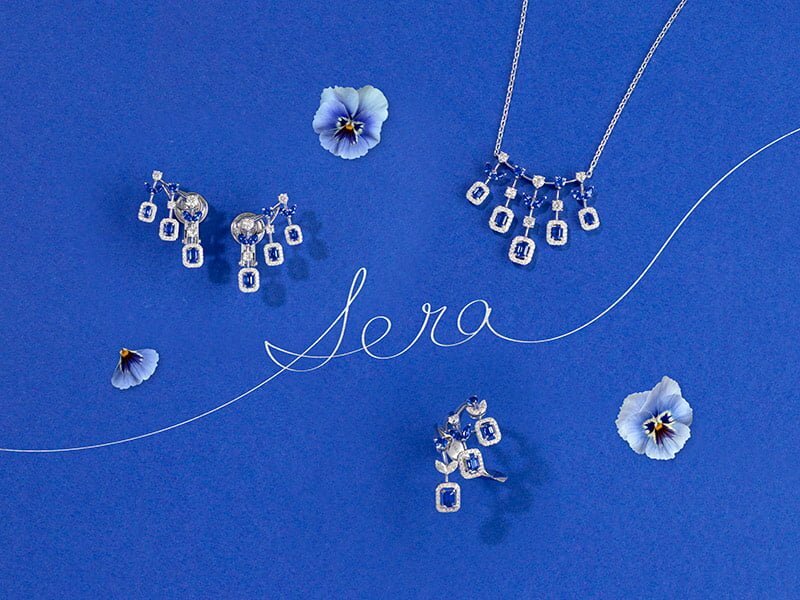 A celebration of love, femininity, and nature, each affordable piece in the Sera Collection features innovative design and precision craftsmanship. The result is nothing short of perfection for moments-in-time, to be treasured henceforth. As dusk falls, Emerald and Brilliant cut facets embody elegance, drawing all eyes to the loving and lovable lady wearing the most breathtaking jewels. 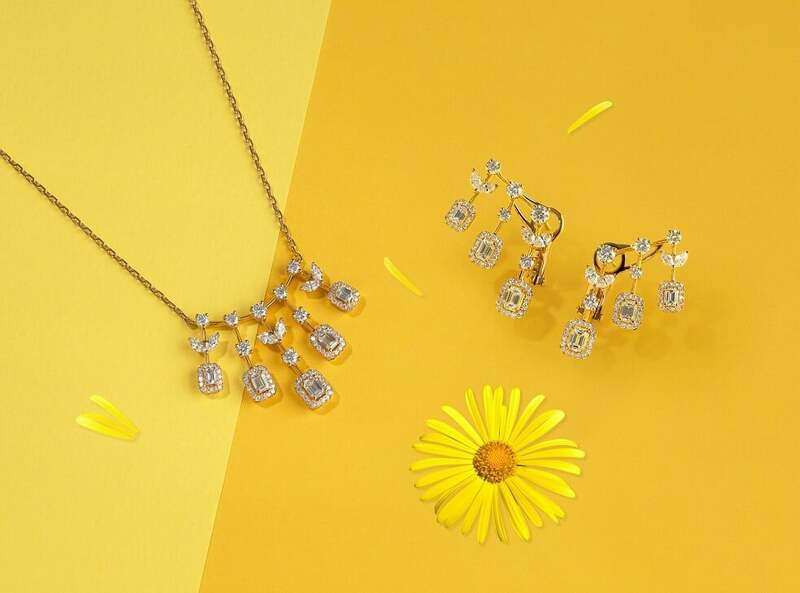 Whether selected specifically for everyday wear or chosen for stolen moments of romance, each delicate piece showcases the minimalistic foliage of the natural diamonds and precious stones in all their wonder. This modern classic Collection will be available at Sartoro retailers, as an expression of Sartoro’s “Everyday Luxury” philosophy, emphasizing the sheer splendor and beauty of simplicity in all its forms. 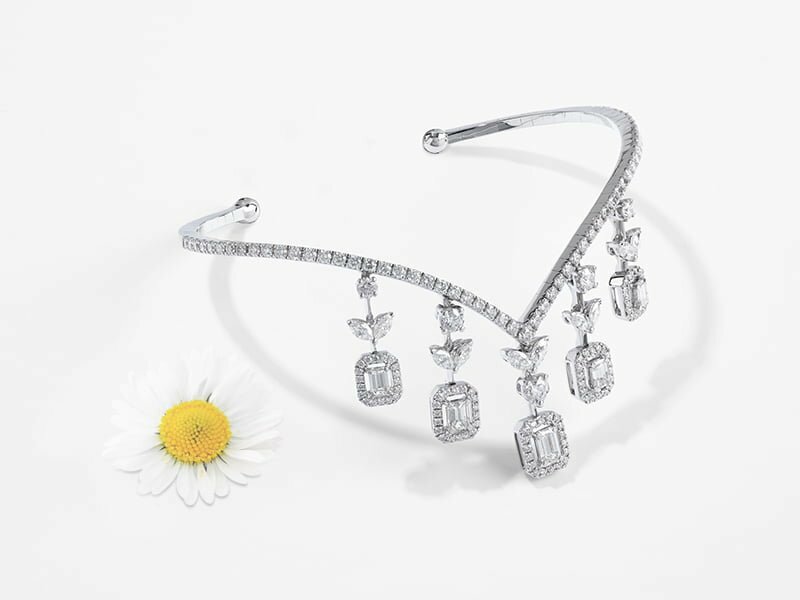 Dazzling precious stones fuse seamlessly, from the glamour of Emerald cut to the symmetric lines, ensuring each piece exudes quality and a lust for life synonymous with youth and vitality. Embrace style with the clean lines, ladylike charms and natural elegance of the Sera Collection exclusively by Sartoro.